Loved the apartment, the space, the pool and the views. We had a three bedroom penthouse for our family and it was amazing. The rooftop pool is beautiful and location of the hotel, within walking distance to all the restaurants was perfect. We loved our stay. Spacious, Clean, Private, Quiet and an excellent location for beach, shopping and restaurants. Good quality towels and linen. All kitchen utensils and amenities provided. Also balcony with barbecue, drinks fridge, sink and bench space with power outlet. Stayed in 3 bedroom apartment No. 304. You get what you pay for! The property is as it says it is. Unfortunately not very clean which meant my wife spent a few days out of her holiday cleaning. Very dusty and cleaners don’t clean more move things around. Location, apartment (upon entrance), girls at the front desk were nice. The room was luxurious and the private pool was amazing. Lock in a great price for Coconut Grove – rated 9.1 by recent guests! Coconut Grove This rating is a reflection of how the property compares to the industry standard when it comes to price, facilities and services available. It's based on a self-evaluation by the property. Use this rating to help choose your stay! 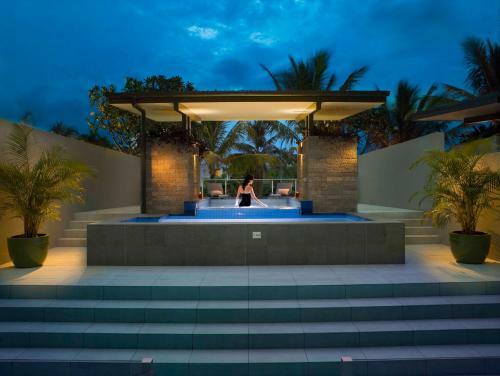 One of our top picks in Port Douglas.Coconut Grove is a 5-star resort features luxurious self-contained apartments in Port Douglas. The property is on cosmopolitan Macrossan Street, only 450 feet from Four Mile Beach. There is a range of beautifully furnished and spacious apartments available, all of which have been decorated in a contemporary style. Each apartment has a full kitchen, a plasma TV, a living-dining area and a private bathroom with a spa tub. 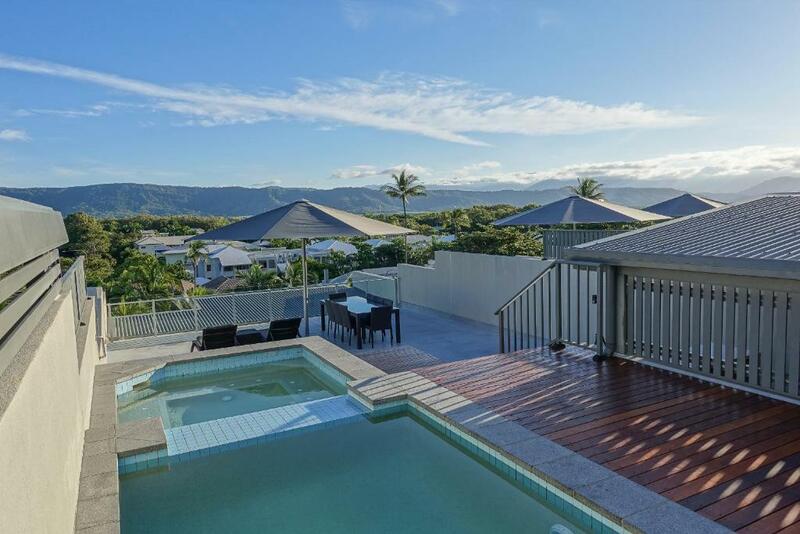 All of the units also offer impressive views of Port Douglas and the rainforest. Some feature a private plunge pool, a spa tub and outdoor entertaining facilities. Recreational facilities at Coconut Grove include a swimming pool and a 50 feet (50 feet) lap pool. Snorkeling, diving, fishing and four-wheel drive adventures can all be arranged locally. When would you like to stay at Coconut Grove? This apartment features a balcony, patio and dining area. Contemporary apartment offering unique indoor and outdoor living space. Includes outdoor entertaining area with barbeque and spa. Split-level apartment offering unique indoor and outdoor living space. Includes roof top spa and barbeque. This apartment features a balcony, bathrobe and seating area. This apartment features a balcony, CD player and hot tub. This apartment has a balcony, toaster and private pool. This apartment has a balcony, dishwasher and air conditioning. Situated in cosmopolitan Macrossan Street, just 140 metres from magnificent Four-Mile Beach, divine views of rainforest and Mountains can be enjoyed in absolute privacy from a choice of 33 glamorous holiday apartments that come complete with their own outdoor entertaining terrace - extending seamlessly from sophisticated living areas - so self contained you will never want to leave. We love to snorkel, fish and trek through the rainforest, swimming in natural water holes and climbing secret waterfalls is great fun. As a holiday destination Port Douglas is in a class of its own - a paradise found for the most discerning visitor craving relaxation. Chic boutiques, cool eateries, restaurants and internationally-celebrated resorts and golf-courses are the perfect foil to nature's veritable patchwork of World Heritage listed rainforest, verdant cane fields and Coral Sea. House Rules Coconut Grove takes special requests – add in the next step! Coconut Grove accepts these cards and reserves the right to temporarily hold an amount prior to arrival. Guests arriving at Coconut Grove after 17.00 hours should contact the resort prior to arrival so an out of hours check-in can be arranged. Please inform Coconut Grove of your expected arrival time in advance. You can use the Special Requests box when booking, or contact the property directly using the contact details in your confirmation. There was a brand new shirt worth £150 that was stolen from our wardrobe. We had neighbours throwing sharp steak knives from the balcony above which is outrageous considering we had two young children with us which could have ended in disaster. The staff are poor, from beginning to end they were useless, even to the point where they forgot to order our taxi to the airport which meant we nearly missed our flight. All you ever get from them that this has never happened before. We also had a situation whereby the linen perished and both my partner and I were covered in rubber and had to make a call out to change the linen at 2am in the morning. There is no onsite security or nobody to call after 5.30pm. Don’t stay here stay at the Sheraton, cheaper and much better. Certainly isn’t worth the $10,000 dollars we spent to stay here for 2 weeks. Pool light was not working on arrival, the BBQ pilot light was not working (maintenance man couldn’t fix it, gave us a gas pilot lighter to use and keep there), staff and maintenance were not aware of our late checkout (until checking our booking.com reference) and needed us to vacate the room but they gave us another room for the inconvenience. No daily room service- resort I think not After 4 days this was requested. Fresh sheets left on the bed as a do it yourself (are you serious)?? All that was done was rubbish emptied and towels changed and only upon request. A/c failed and was told that maintenance had gone home in the afternoon. Girls at the desk were nice but for that price you should call it a serviced apartment or air Bnb not a resort. Bed was old and hospital sheets. The pool was a bit cold and not in the sun. Great location, very modern spacious apartment. Just that we didn’t get a room clean everyday, which meant we had to be careful with the sheets and making the bed everyday. But they changed our towels everyday which was great. The TVs in the rooms could be updated I always found the channels were very static like. Perhaps the option of more channels eg. Foxtel? Great room super quite, so made the trip really relaxing. We found the king size bed too soft and it dipped in the centre. Apartments on level 1 with private pool were very open and looked over by all the apartments above, so no privacy. The pool coping was black granite which was so hot during the day in Oct , one could not get into or out of the pool easily without burning the hands or feet. Close to the beach and on the main tourist thoroughfare. Locking off the second bathroom was very disappointing. Room would be much better if had separate toilet to the bathroom or had second bathroom open. Bed was very comfortable. Great location, within walking distance to many restaurants, cocktail bar and local shops. You had to pay extra to have it cleaned & refreshed daily. The quality & size of the apartments.